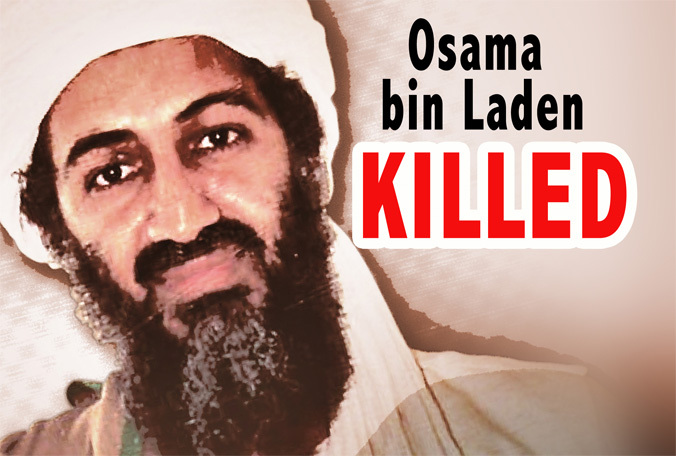 Late Sunday May 1, 2011, news was released that Osama Bin Laden, the driving force behind 9/11 attacks and the Al Qaeda Islamic extremism movement had been killed. Ten years has been spent in the search for Bin Laden. Previous President George W. Bush made it his personal mission to hunt down the terrorist — famously igniting the ‘war on terror’. Despite these efforts, the Muslim extremist always seemed to evade capture and remained in exile. After months of planning and intelligence gathering, Obama’s team was ready to make their move. “A small team of Americans carried out the operation with extraordinary courage and capability. No Americans were harmed,” claimed the President. He also stressed that although Bin Laden had been hiding in Pakistan, Pakistani intelligence and cooperation was the reason for the success of the operation. Obama commented that he along with Pakistani President Zardari and his counterparts agreed that this was a “historic day” for both countries. Obama ended his speech with the usual sign-off, blessing viewers and the country. While Canada’s reaction to the news was relatively tame, Israel’s reaction was decidedly more jubilant. “This is a resounding triumph for justice, freedom and the values shared by all democratic nations fighting shoulder to shoulder in determination against terrorism,” said Israeli Prime Minister Benjamin Netanyahu.